Our single-hosted platform means single-click sharing capability for you. No more cumbersome steps of saving, cutting, or pasting, to a secondary hosting site. Simply search, select and share to social media, email marketing, website updates and more. Saving time is that easy! Build your own custom playlist and easily combine all forms of rich media (videos and images) together in one single, shareable link. Once you use this tool, you’ll be hooked. 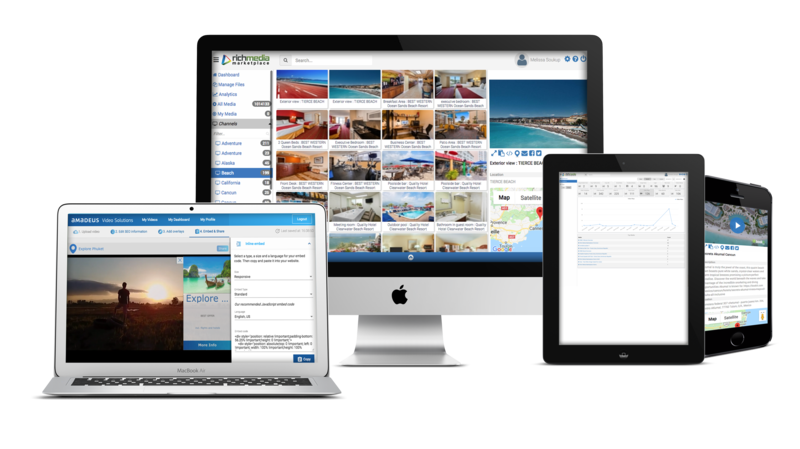 This tool is standard in the CMS and allows the viewer to easily access hotel information and direct book for properties within the proximity of media location. This is a huge time-saver for anyone searching for a hotel around a specific event.